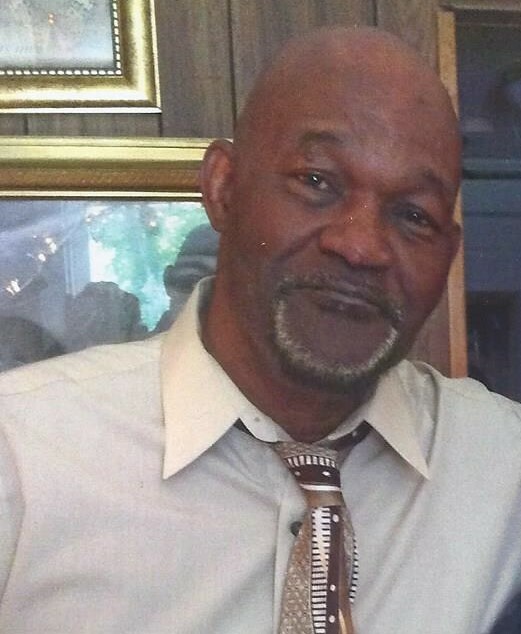 Obituary for Robert Gill Givens, Jr. | Hairston Funeral Home, Inc.
Mr. Robert Gill Givens, Jr., age 71 of Concord, NC, passed, Saturday, November 17, 2018 at CMC Northeast Hospital, Concord, NC surrounded by his loving family. Mr. Givens was born in Rowan County on September 17 1947 to the late Robert Gill Givens, Sr., and Thelma Smoot Givens. He was a graduate of JC Price High School and was a star football player. He joined the Marine Corps in 1967. He was last employed with Goodyear Tire Company as a truck driver. Mr. Givens was a member of Thomas Street Church of Christ in Salisbury, NC. In addition to his parents, he is preceded in death by a daughter, Shadrika Ford. Those who remain to cherish his memory are his loving and devoted wife, Angela Ford Givens of the home; son, Robert G. Givens, III, Lancaster, SC, daughters; Annie Gail Cherry, Granite Quarry, NC, Tonya Renee Parker, Salisbury, NC, Lakenza S. Ford, E. Spencer, NC, and Sharrell Ford, Concord, NC; brothers; Nathaniel Givens, Salisbury, NC, Elijah Givens (Willette), Cleveland, NC and Leonard Givens, Lancaster, SC, sisters; Hannah P. Carter, Corpus Christi, Tx., Katie Palmer (Joe), Raleigh, NC, Sylvia G. Breedlove, Raleigh, NC, Thelma Best, Raleigh, NC and Edna G. Jemerson, Salisbury, NC; 12 grandchildren, 4 great-grandchildren, and a host of nieces, nephews, cousins and friends. Service: Friday, November 30, 2018 at Thomas Street Church of Christ, Salisbury, NC. Visitation: 1:00 p.m. to 2:00 p.m. Funeral at 2:00 p.m. Brother, William Latten, pastor/eulogist. Burial will be held on, Monday, December 3, 2018, at the Salisbury US National Cemetery, Statesville Blvd., location at 9:00 a.m. Hairston Funeral Home Inc., is serving the Givens family. Online condolences may be sent to; hairstonfh.com.